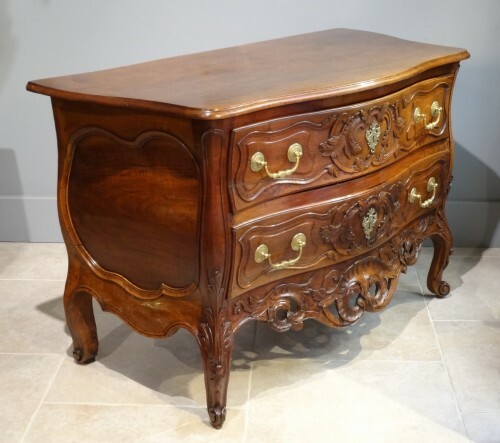 Beautiful Provencal dresser shaped "jumping", curved on all sides, carved and molded walnut. 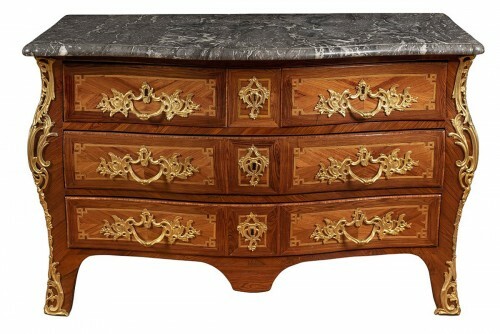 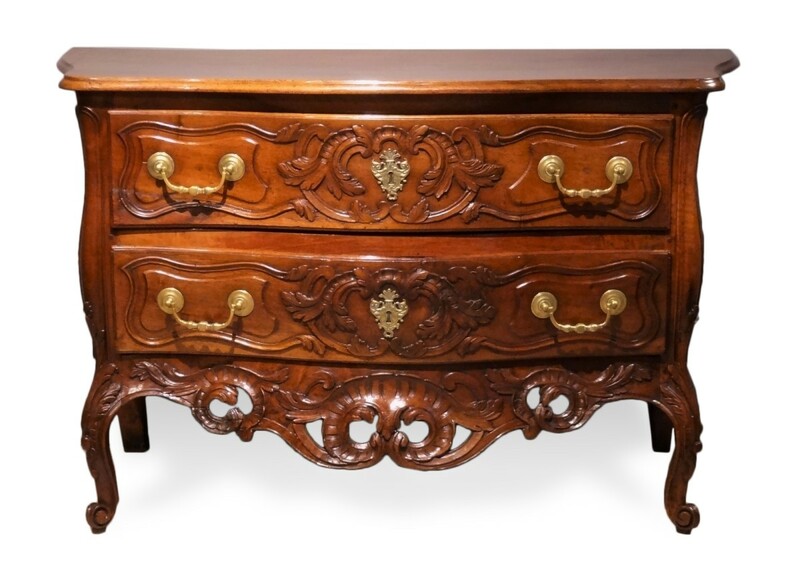 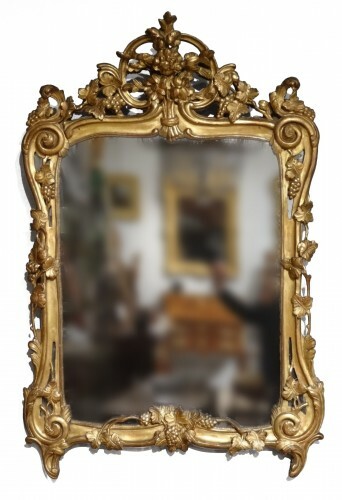 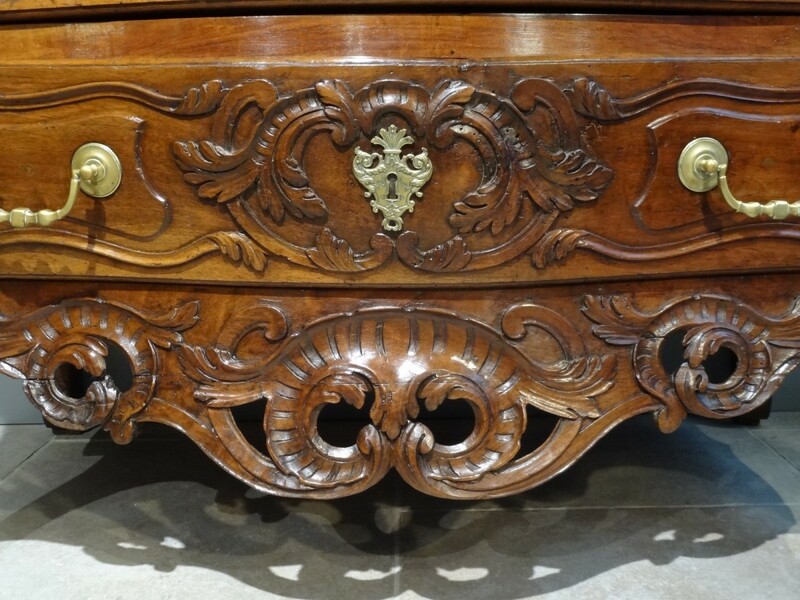 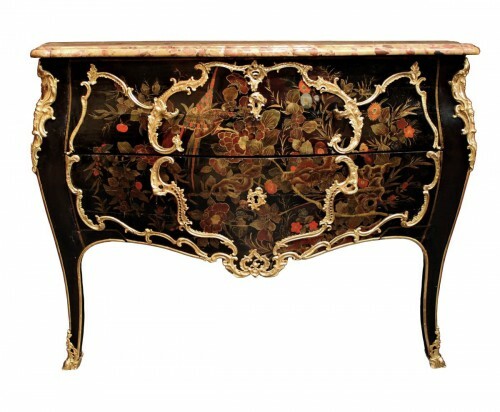 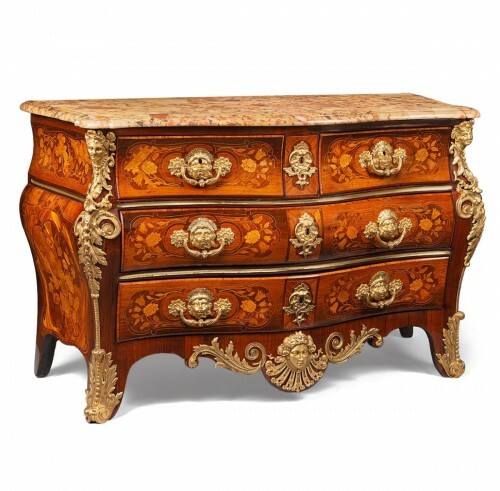 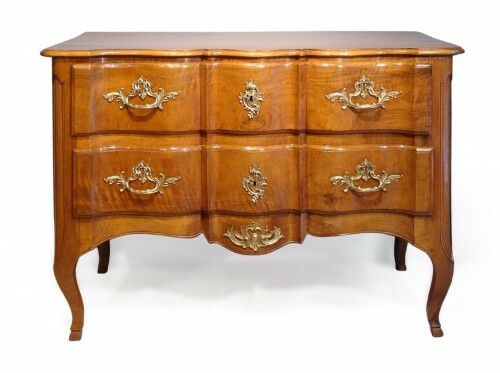 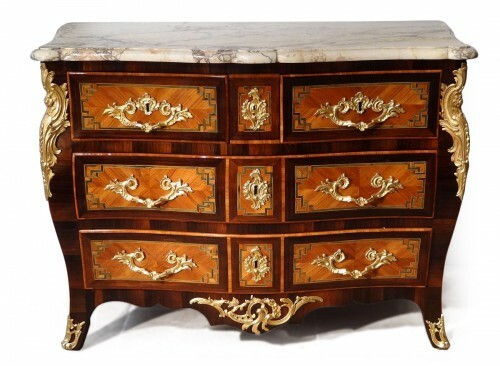 It opens with two drawers adorned with molded reserves and richly carved foliage. 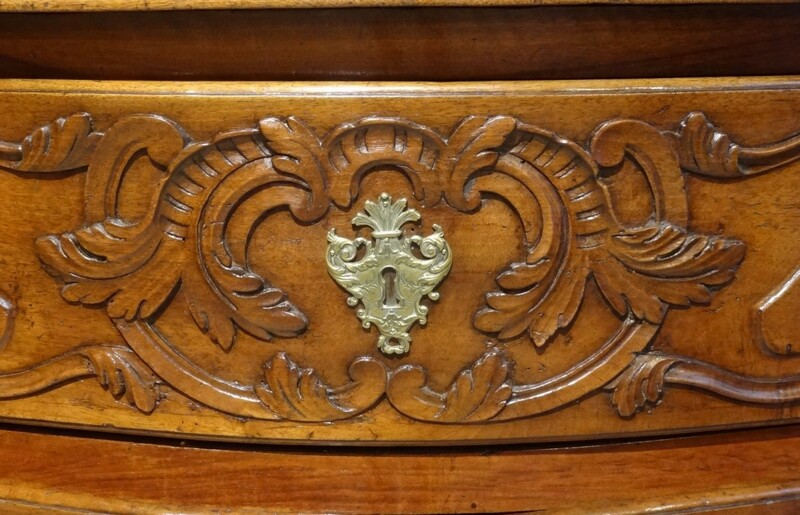 The cross is carved with a rock decoration (acanthus leaves, scrolls, staples) embellished with three beautiful openwork shells. 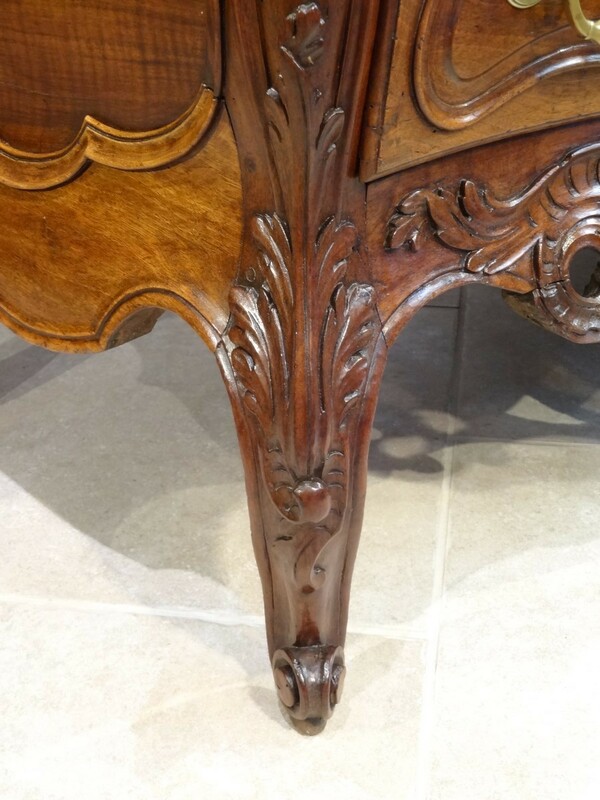 We find this elegant vegetal decor on the uprights. 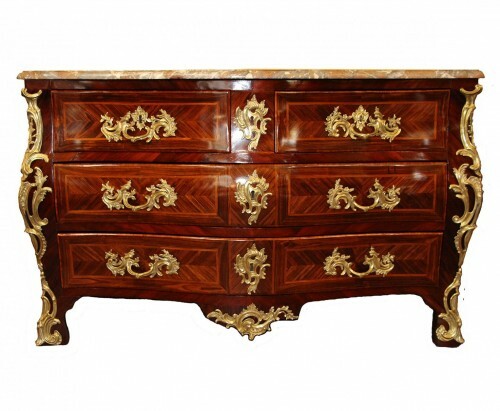 The pronounced curved sides have molded and fretted reserves. This dresser rests on four feet with "winding". 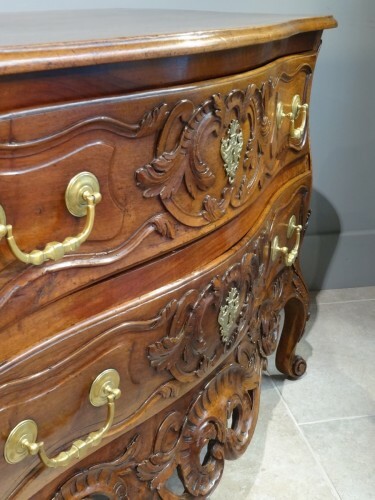 The tray is mounted tenons and mortises (to reveal no trace of ankles) which reflects the quality of this dresser and know-how Masters Provencal cabinetmakers in the eighteenth century. On the back of this large chest is also the initials "MS" struck with iron; no doubt a mark of ownership.